In South Africa, we have many options in deciding where we want to bank. African Bank ranks high on the list. Choosing a bank is an important decision, due to the fact that it will be the place you entrust your income. In making informed decisions about investing our hard-earned money, we need to do some homework on the services the banks provide. Only by reading up and comparing the various options will you be able to know which will fit your lifestyle the best. However, the focus here will be on African Bank’s credit card facilities, as they are considered to be a prominent bank in the credit account service sector. What is it about African Bank that makes it a leading credit card bank? Having a credit account from them gives you a range of significant benefits. All SMS bank notifications are free of any charge. In the event of an unexpected event, you can receive life coverage on credit, also. Request the bank to increase the maximum amount on your credit account. Confirmation of your address, Municipal account etc. There will be no approval or even consideration for any application that has out-dated or forged documents attached. All the documentation needs to be legitimate and up to date. 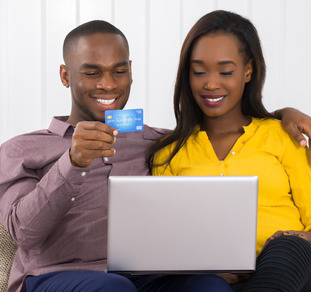 African Bank is a serious credit provider whose emphasis is on accommodating your lifestyle.